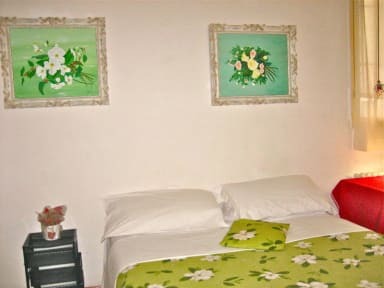 The Noble Art Hostel is located a few meters away from Piazza Santa Maria Novella, a quiet place to rest without any kind of noise as traffic, scooters or buses and 5 minutes walking from the train station. Featured new renovated rooms fitted with a private or shared bathrooms where you can feel like at home. 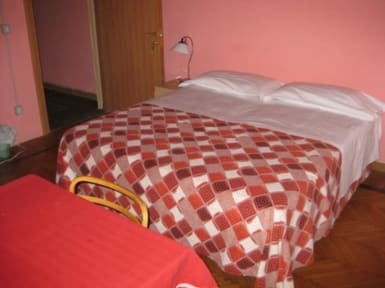 In the Hostel you can find all kind of information: City Tours, Chianti Tours, Museums and Restaurants. All this with the total and unconditional help of the staff with the intention to make your staying in Florence as much as possible wonderful. Maps, Flyers and other useful advertising are for free. Do not hesitate to ask me what you need, we are here to help you. Please note: we have 72 hours cancellation policy for each night you have reserved, only via e-mail. Check-in: From 1 pm to 7 pm ...If you wish to check in outside of these hours please contact us ahead of time. We have a 72hr cancellation policy for each night you’ve reserved. Cancellations must be made by midnight three days before arrival. Late cancellations and no-shows shall incur charges to their credit card. Please ensure your card is still valid when arriving. Please contact us 2-3 days before arrival by phone or email to let us know the exact time of your arrival. The owner is wonderful and kind. Very helpful. Great place and highly recommended. We got a free upgrade to our own bathroom. Great comfy bed. Try it!! You will love it. Katie Australia.